Hi everyone! My name is Laura, and I’m the blogger behind Discovering Hidden Potential. 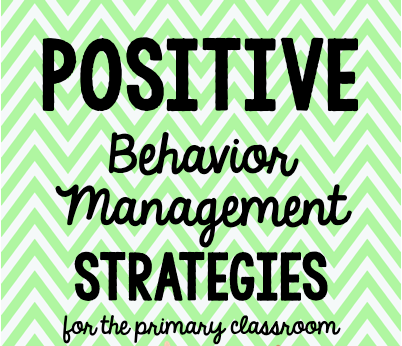 I’m excited to share some different classroom management ideas with you today. Thank you so much Rachel for this opportunity. 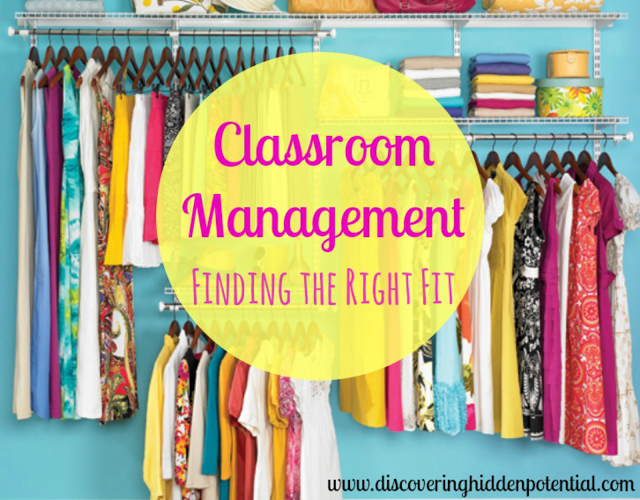 With different personalities and needs that teachers encounter in the classroom, sometimes it can be hard to find the “right fit” when it comes to classroom management. The typical one-size-fits-all management system might not work for ALL the students in the classroom, especially when you have students coming to you from all different backgrounds. 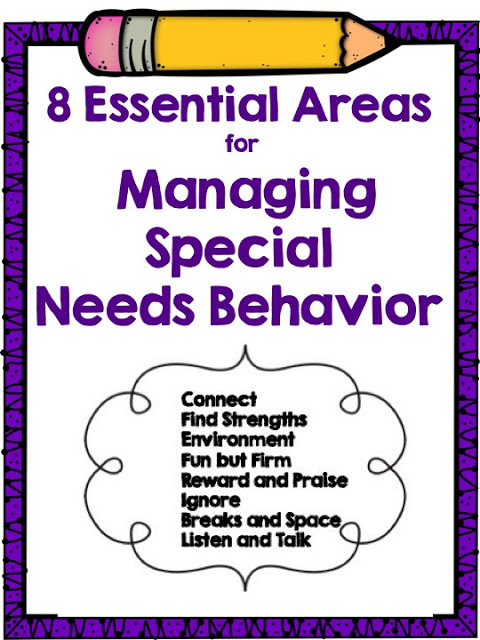 Over the years, I have worked with students with some of the backgrounds in the below graphic and have found teachers really need a repertoire of behavior strategies. 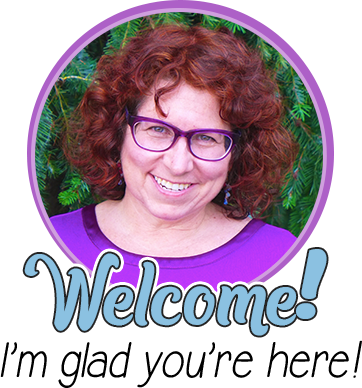 I’m here today to share some unique and different classroom management strategies in order to help you meet the needs of the different learners in your classroom! It does not get much easier than this strategy. 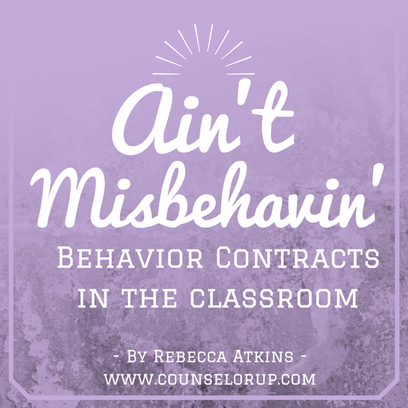 Most teachers have their expectations or rules visually displayed within the classroom; however, they do not refer to them or use them when correcting student behavior. When a student is not following a classroom expectation, simply point to the rule. Constantly referring back to the classroom expectations, especially during the first few months of school, gives students gentle reminders. 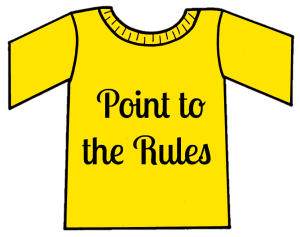 Refer to the rule number instead of the actual rule, such as “You are not following rule number 3; please stop.” This way it is very clear, and the teacher and student typically become less likely to become entangled in a power struggle. 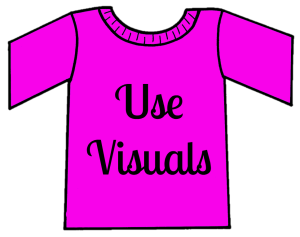 Visual reinforcement can be especially helpful for younger children. 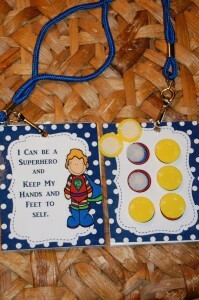 A Behavior Lanyard is a visual for the students to wear all day so they will constantly be aware of their behavioral goals. 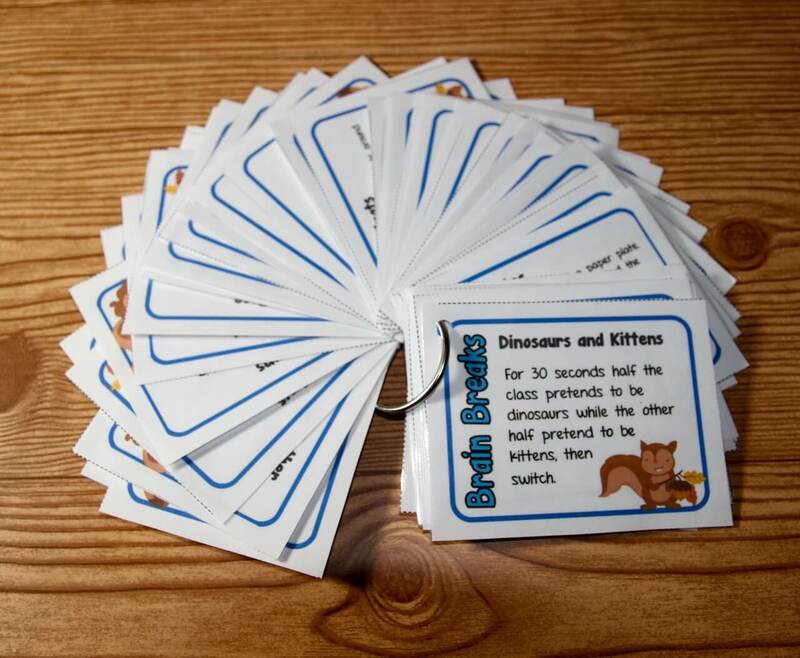 On the back of the tag are tokens that the student earns when exhibiting the chosen behavior. When the tag is filled up, the student gets to pick a larger prize from a reward menu. 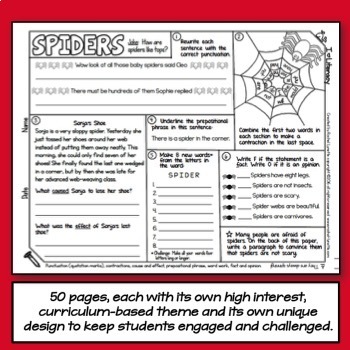 This could also be used for the entire class, and the behavioral goal could change depending on the class needs. For example, if the class if having difficulty transitioning, then they could earn tokens for each appropriate transition time. Many inappropriate behaviors occur because the student is trying to get attention or avoid a task. Appointment Cards help give students the attention they want but at a more appropriate time that is designated by you. 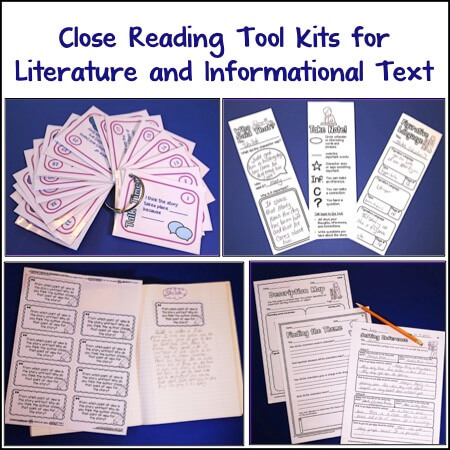 As the teacher you need to give them the message that they are not in control of your classroom and that there is a more appropriate time to address the issue. If you do not want to stop instruction, then you can use appointment cards to formalize the process. Let students know that you want to talk about the issue but not at that moment, and they can make an appointment to talk with you at a designated time. 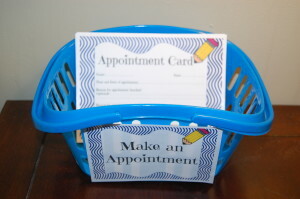 You can also use the appointment cards when YOU want to make an appointment with a student to discuss their behavior. 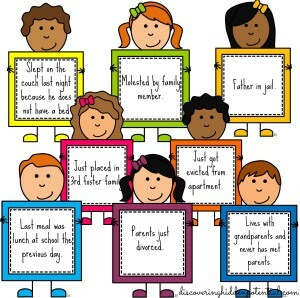 This can be especially helpful for students who are on an individual behavior point system. 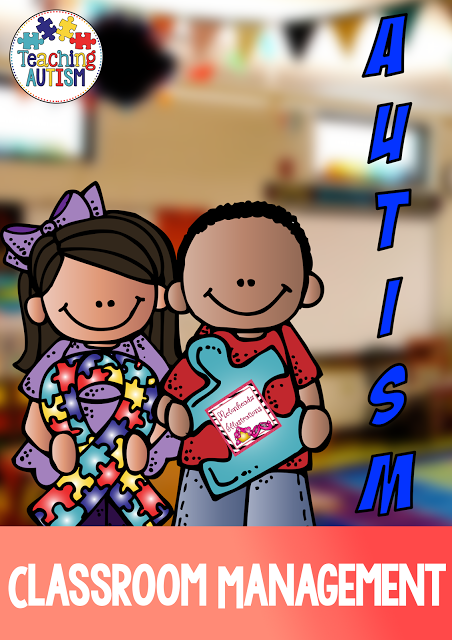 Assign a point value for completing the card, and they will be reinforced for completing the appointment card instead of continuing the disruptive behavior. 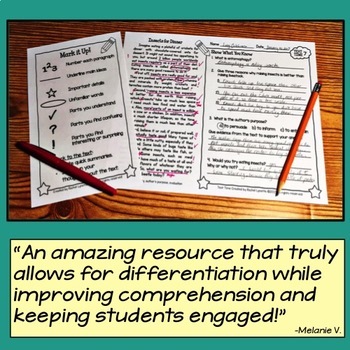 It is important to continue to give students different strategies that they can use, and when students use one of these strategies, you should reward or reinforce that choice. Self-Monitoring Charts are a great tool that are not used very frequently. 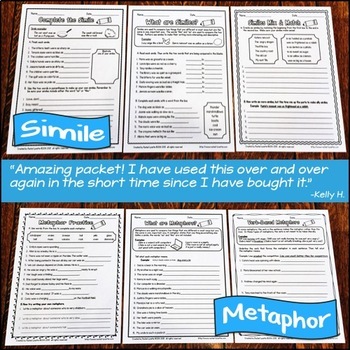 Typically, teachers will opt for a standard behavior chart where the day is broken down into subject areas and the teacher gives points, smiley faces, checks, etc. when the student is meeting the target behavior. 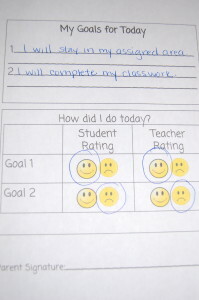 A self-monitoring chart can be developed in a very similar fashion, but with the added bonus of starting to put more responsibility on the student for “checking” their behavior.While older students may be able to complete a chart without having a “teacher rating” system attached, I have found that creating charts that have both a teacher and a student rating scale are more effective. An example of a very simple chart that does not divide the day into individual time frames is below. In this chart two behaviors are identified as target behaviors: I will stay in my assigned area, and I will complete my classwork. The teacher and student review the target behaviors at the beginning of the day. At the end of the day, both the teacher and the student rate how successful the student was at meeting the goals. 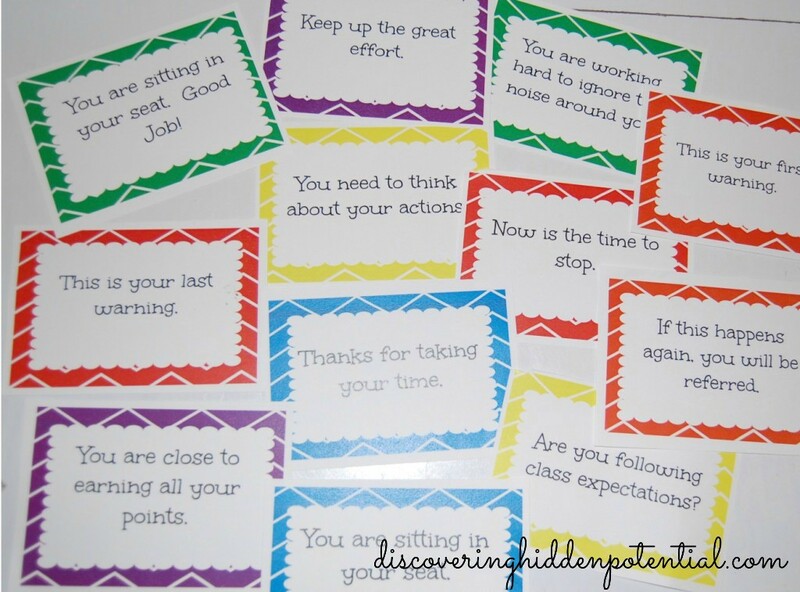 A reward menu or some type of system for positive reinforcement should be attached to the chart when the teacher and the student ratings match and are positive. Inconspicuous corrections to student behavior are generally more effective than public displays for all students to see and hear. Public reprimands increase the chance of escalating the problem and can take away some of the student’s dignity. Statement Cards are a great alternative strategy to use. 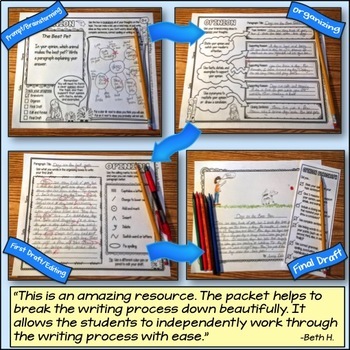 The purpose of statement cards is to allow the teacher to redirect the student without stopping instruction and possibly becoming entangled in a power struggle. 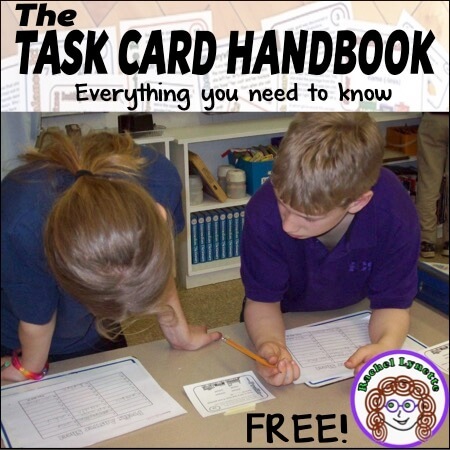 The teacher simply places the card on the student’s desk and continues with the lesson.It is just as important to reinforce positive behavior, especially in students who typically have behavioral issues. Generally, in order to change negative behaviors, positive behavior must be reinforced at a more frequent rate than correcting negative behaviors, so you should also have cards with positive statements. 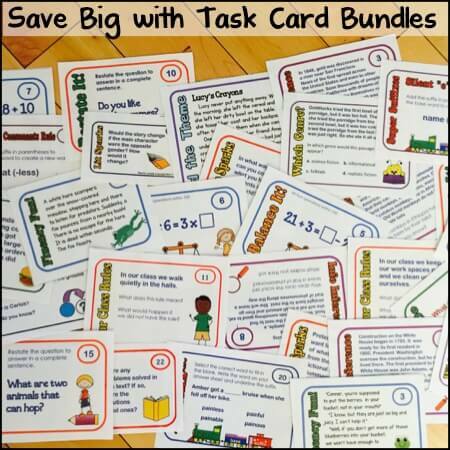 These cards can also be used in conjunction with an individual behavior plan that incorporates a point system. 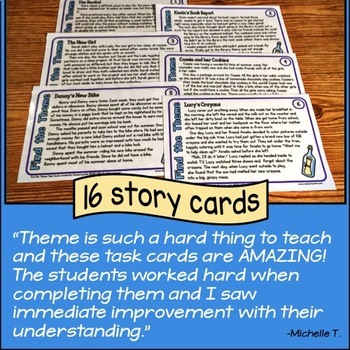 Teachers can give students chances to earn more points if they receive a positive card or use the corrective cards as warnings before points are taken away. Some children need a spot in the classroom to go and “cool down.” As teachers it is important to teach students productive and healthy ways to deal with emotions such as anger, sadness, or frustration. By teaching students different tools they can use to deal with these emotions in a healthy way, we are helping the individual student and eliminating a potential disruption to the learning environment. The first step in doing this is being proactive and ready for a child who needs some additional help calming down within the classroom. The cool down cushion is the perfect place to “house” these tools and strategies. The purpose of the cool down cushion is preventative, as a place where a student can voluntarily go when they identify signs of frustration before hitting the point of no return. Of course, you could call it something else. I just liked defining an actual place in the room and giving it a label. Next to the cushion, there should be a variety of tools students can use to cool down. Instead of just a one FREEBIE, I have THREE for you! Just click the link below and it will take you to my TPT store, where you can find Statement Cards, Appointment Cards, and the Cool Down Cushion Sign. 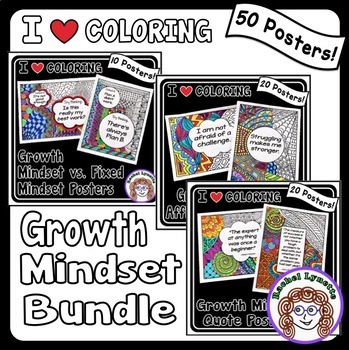 You can also head on over to my blog, Discovering Hidden Potential, to find more behavior tips, special education resources, and early learning tools. Laura has worked as a School Psychologist for the past 10 years and is currently a Special Education Coordinator in South Carolina. She is married with two sweet daughters and loves sailing, running, and spending time with her family. 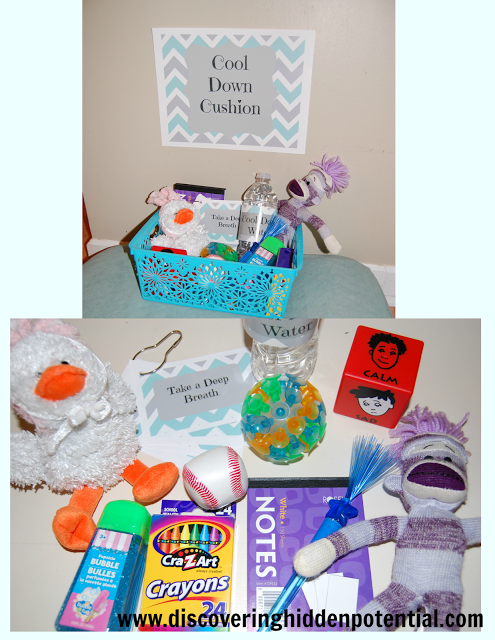 Check out her blog for more behavior resources and classroom management techniques, as well as early learning resources she has created for her own children. Thanks so much for allowing me to share some behavior ideas!! Thank you so much for this information! This class this year is requiring me to be more creative with classroom management! I love the idea of a behavior lanyard. Do you have a template I could purchase?